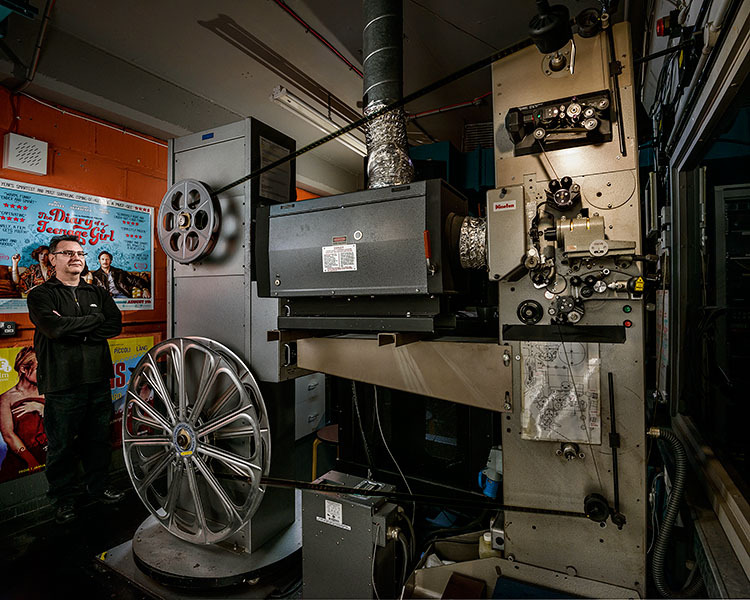 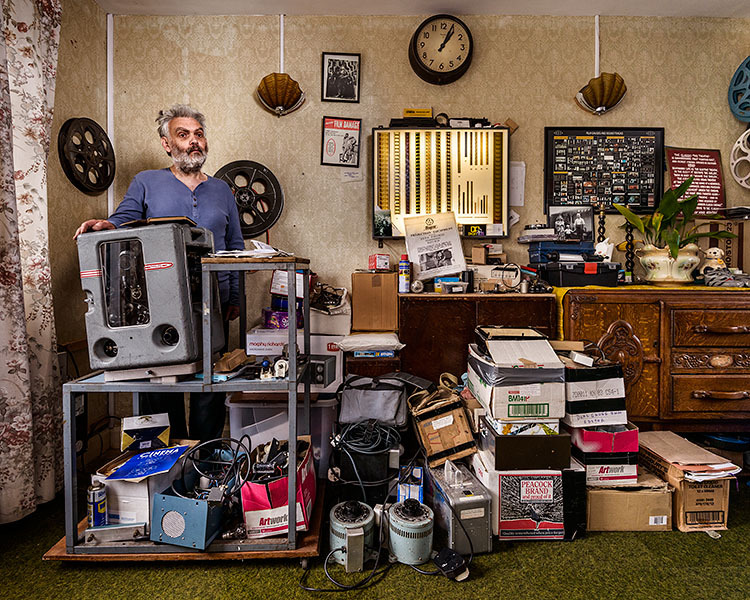 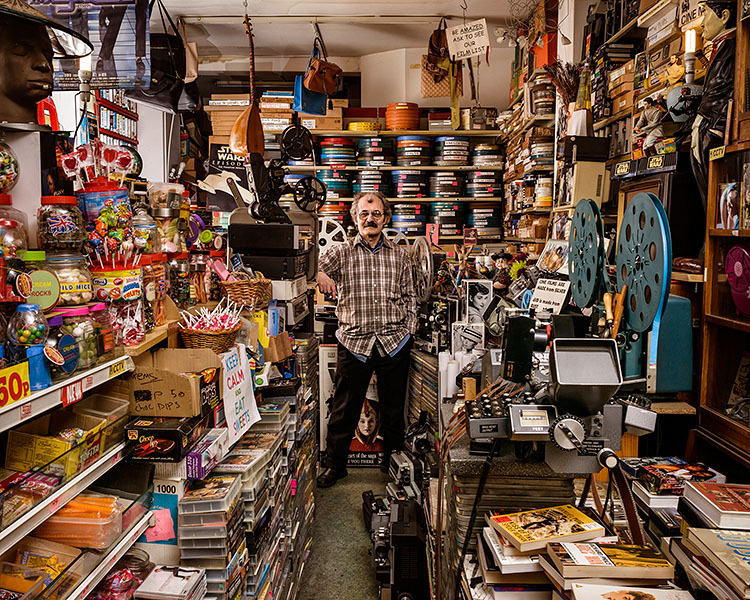 Between 2010 and 2012, approximately 90% of film projectionists in Britain were made redundant as cinemas moved from film to digital projection systems. 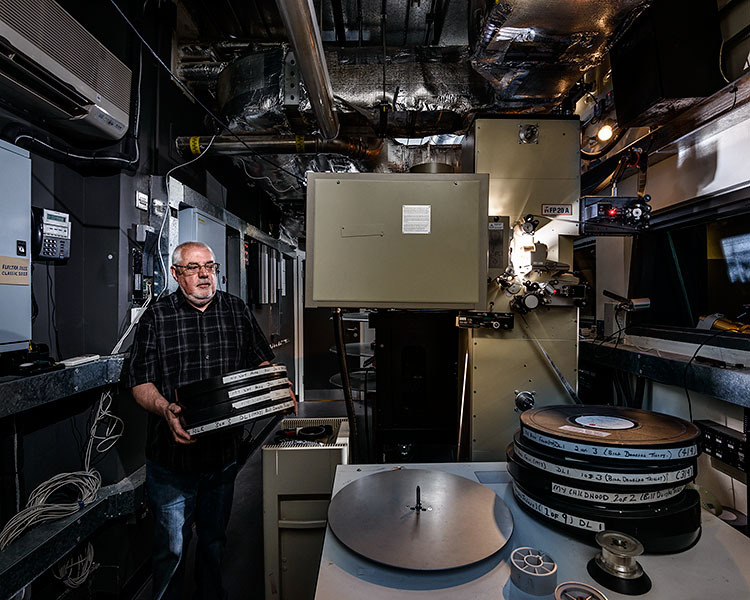 Movies were no longer distributed in cans of celluloid film and instead arrived on encrypted hard drives or through proprietary satellite links. 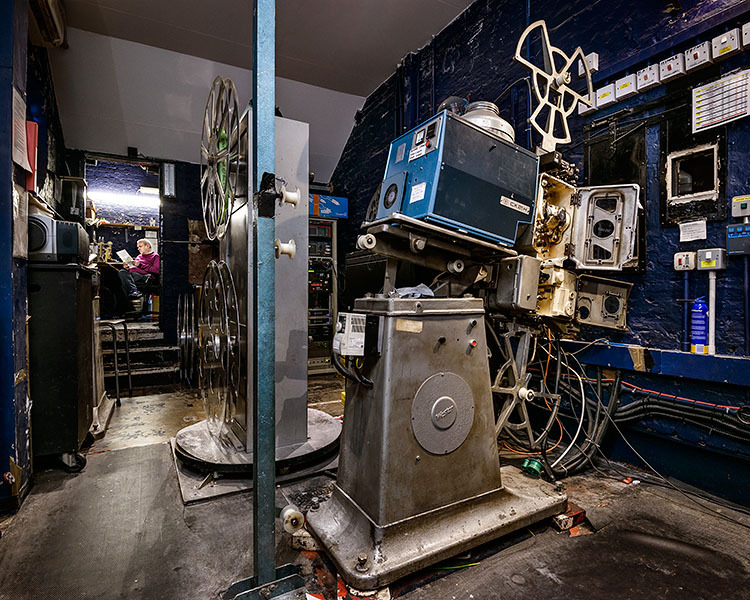 Beautifully intricate 35mm film projectors were scrapped for black-box digital projectors that could be operated by counter staff and managers. 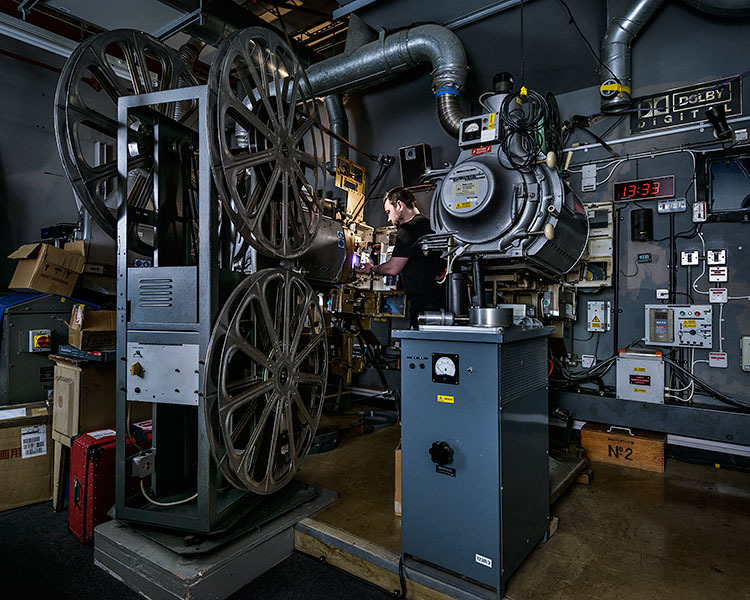 Twentieth century cinema was analogue and mechanical; twenty first century cinema is digital. 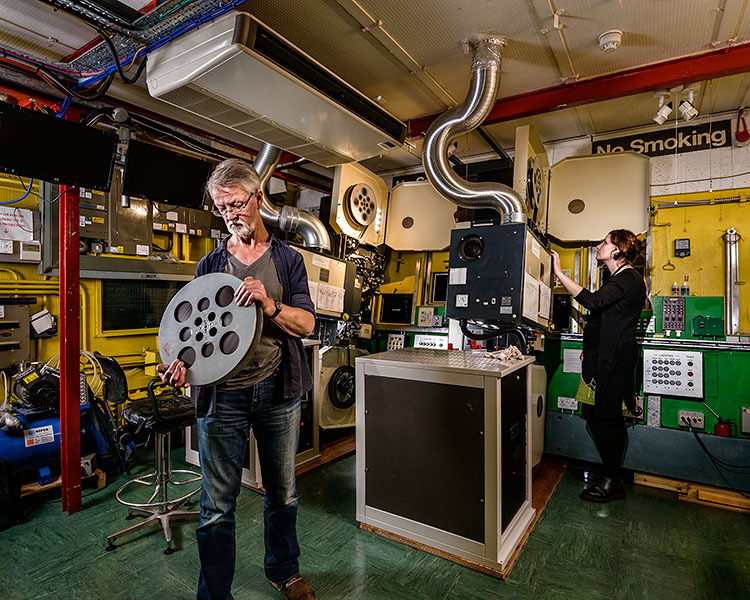 Prompted by this radical transition, The Projection Project in the Department of Film and Television Studies at the University of Warwick seeks to record and investigate the history of cinema projection in Britain. 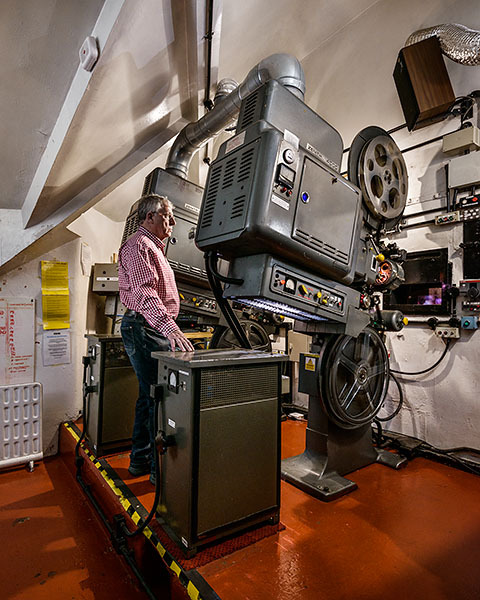 In 2012, the photographer Richard Nicholson, who had made a study of the demise of the photographic darkroom, was invited to work with the Project to explore the current state of British film projection. 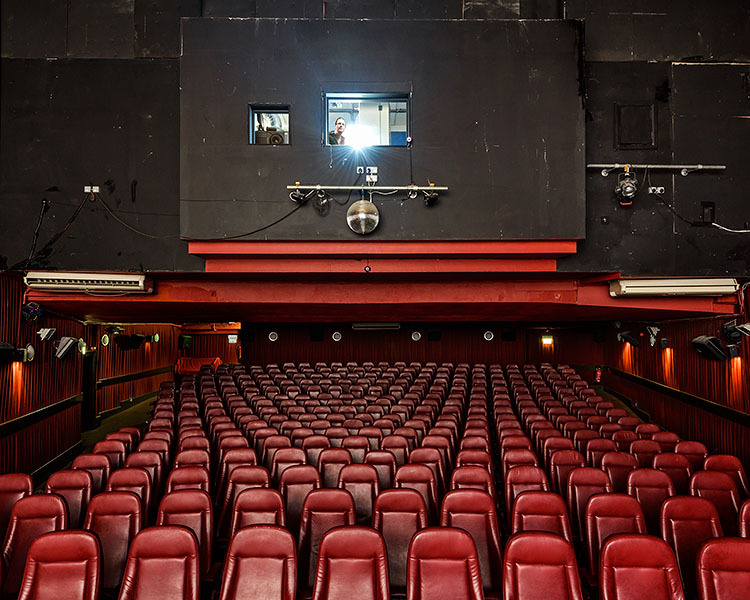 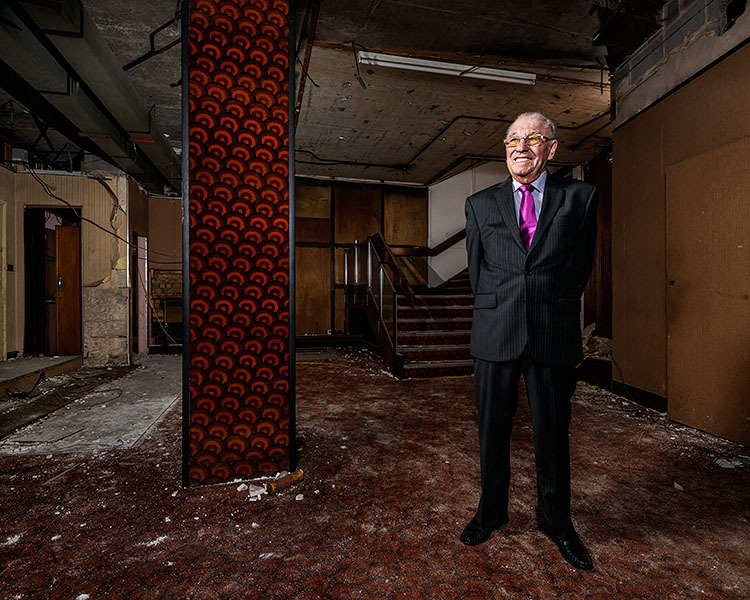 This series of photographs, documenting the specialist cinemas that are still able to project film, is the result of that collaboration. 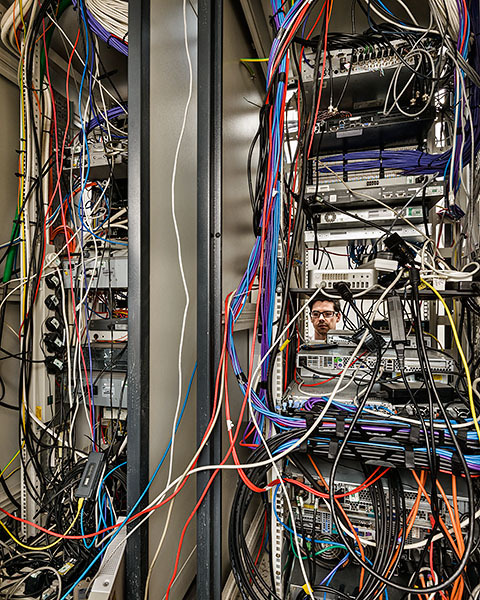 As analogue technologies are superceded by digital technologies, workspaces have become increasingly dematerialised. 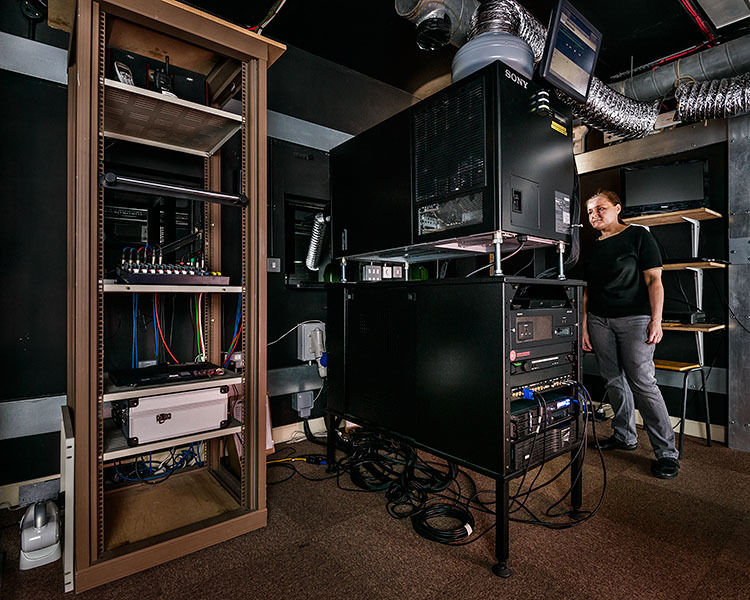 The tangible tools of specific crafts have been replaced by the ones and zeros of computer simulations. 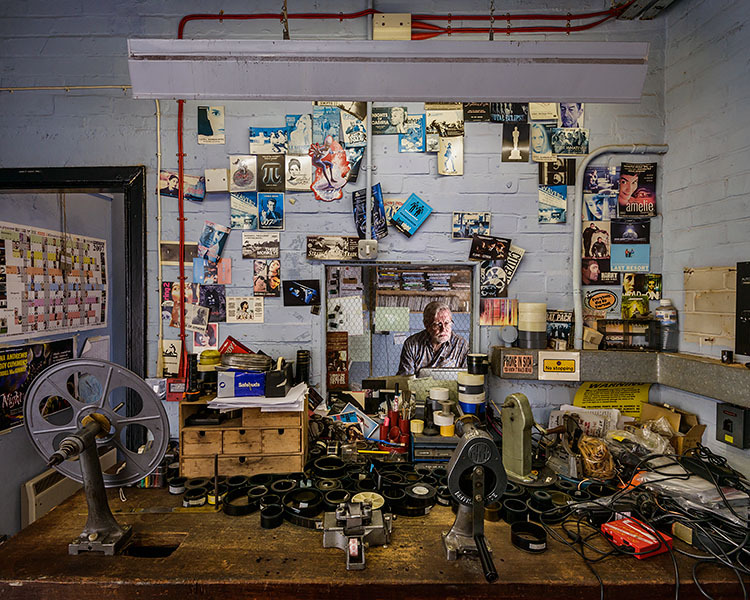 These photographs capture the end of an embodied era in which workers were dwarfed by towering machines that required constant attention. 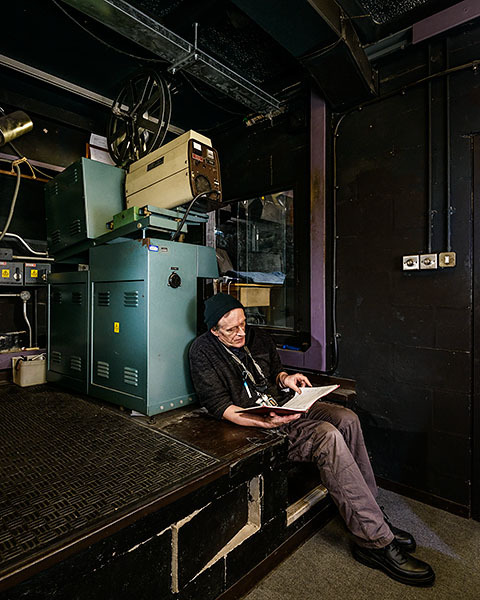 Whilst these projection rooms are often dark, hot and noisy places, they are also the secret spaces in which skilled technicians deftly choreograph picture-shows for the public’s entertainment. 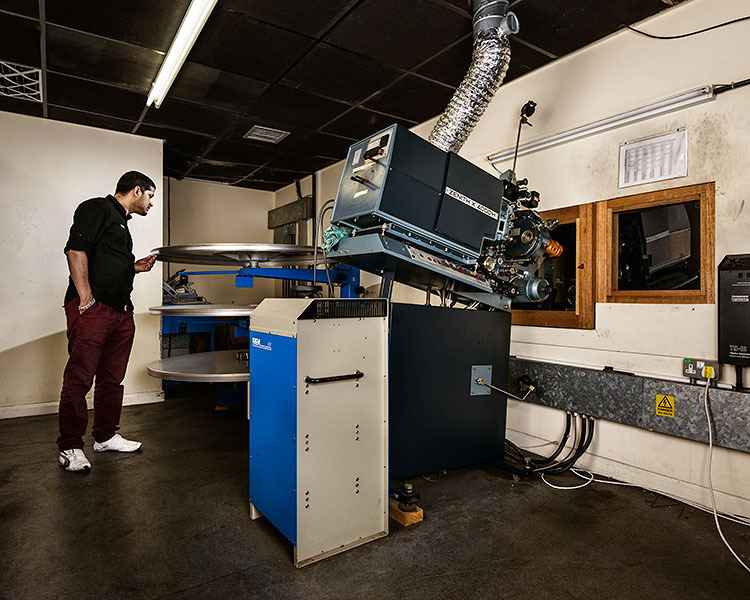 This project has been supported by the Arts and Humanities Research Council and the University of Warwick. 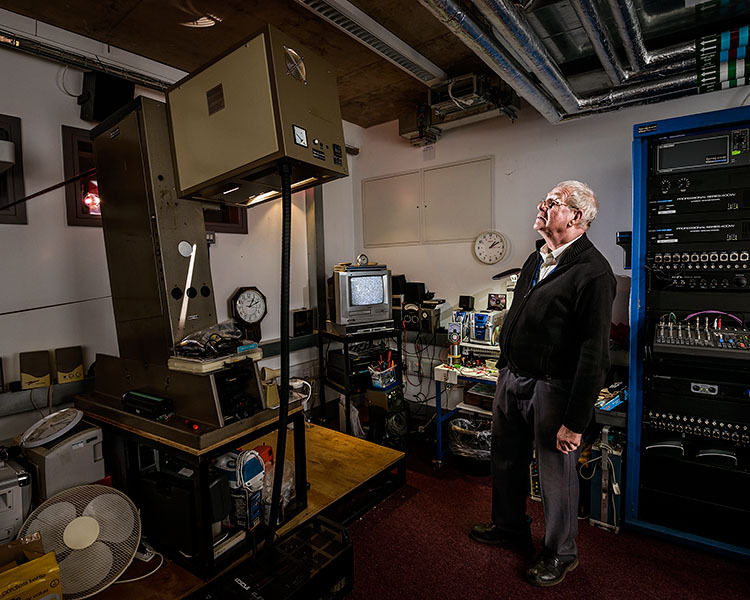 We would particularly like to thank the projectionists who gave their time to be interviewed or photographed for the project. 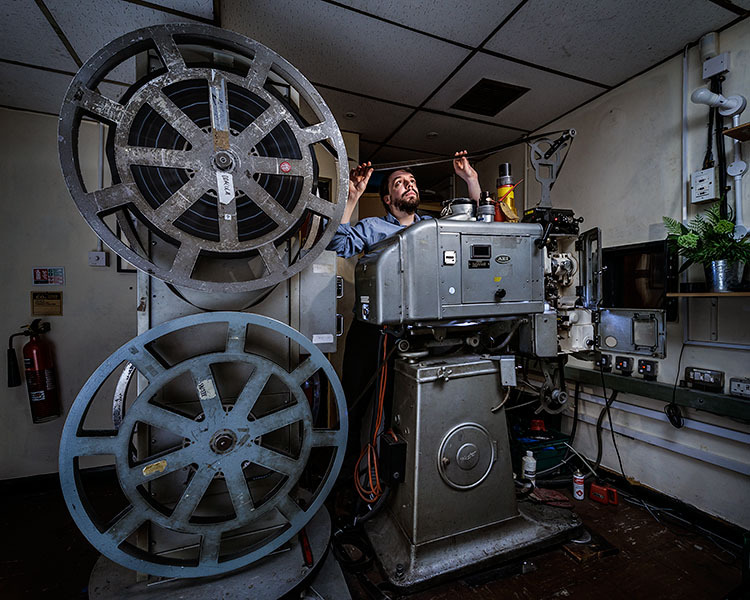 First shown at The Gas Hall, Birmingham Museum and Art Gallery, 20-24 April 2016, as part of the Flatpack Film Festival 2016.